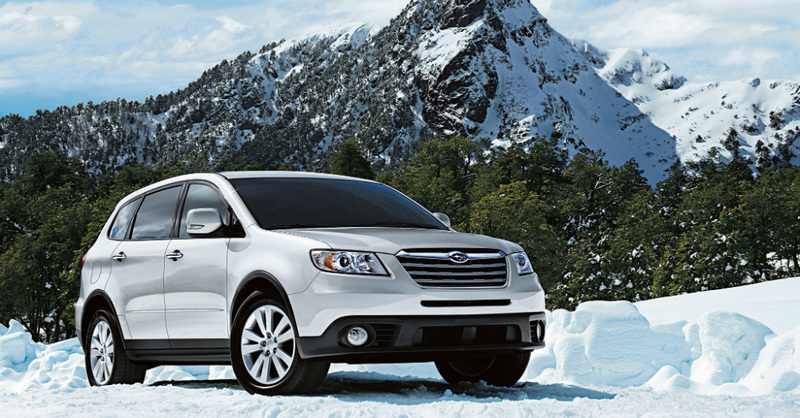 We haven’t had the Subaru Tribeca on the market since 2014. This SUV was the largest model in the lineup and offered us three rows of seats to ensure we could take the whole family along, but Subaru has new ideas for this model and the entire lineup. What we’ve seen thus far is a new large SUV that looks like it could easily support a three row seating arrangement and give us an SUV that’s perfect of the ride. Will this new model be called the Tribeca? That, we don’t know, but it seems to have something special going for it. This new SUV will be built on the new Subaru Global Platform and shows that the brand is taking things upscale to be more than just a mainstream brand but one that can fit into the premium category. This new platform is expected to be the build that creates the right look and feel of the Subaru brand and allows us to enjoy a vehicle lineup that will offers even better driving manners and more style than what we see on the current lineup. While we haven’t seen the final product, because all testing has been done under some heavy camouflage, this SUV appears to be the right way for Subaru to lead the market forward. This new SUV appears to be equipped with a rugged outdoor style and treatments that will allow the vehicle to present us with more efficiency and power on and off the road. This new vehicle has been spotted being tested against two of the stalwarts of the industry, the Ford Explorer and Mazda CX-9. That alone should give you an idea of where this SUV lands when it comes to testing and what the direct competition will be. As for the name, there hasn’t been a definitive answer yet. This SUV is expected to be named after something in nature but no hints have been dropped as to what that might be. It may be named after the pairing of vehicles to nature or heading out to the off road areas, but no one, except a few of the executives at Subaru know what the name will actually be just yet. Once they do decide on a name, we’ll get to enjoy the fun of driving this new SUV and will look forward to when we get a look at it. This new SUV will show up without the cladding sometime in 2018 to show itself off at a variety of shows around the globe. I would expect it may even make a debut in Detroit at the beginning of 2018 before it becomes a production model in 2019, giving us plenty of time to think about what it is and how it will fit into the market. Now that this SUV has our attention, learning its name and what makes it run will be a lot of fun over the next couple years until it finally hits the market as the replacement for the Tribeca.